This is one of our squirrels. 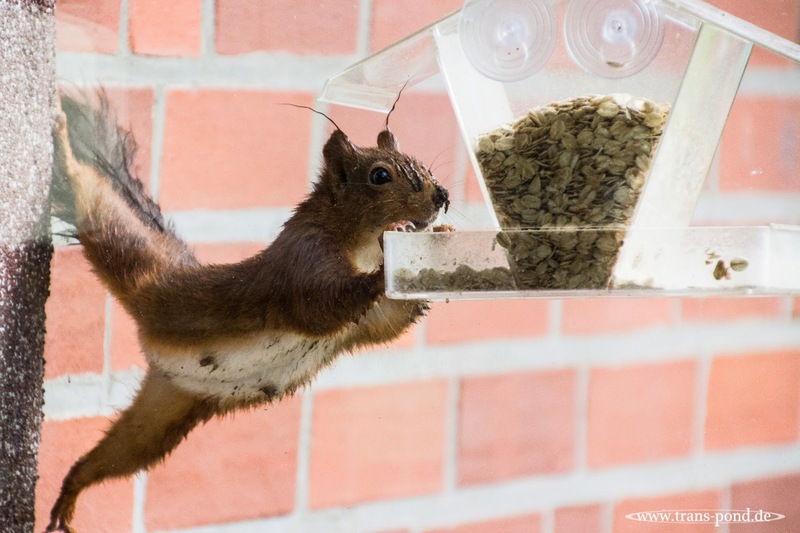 It is neclecting the squirrel house with the nuts and seeds and digging into one of the birdfeeders. The day was wet. As you can tell.